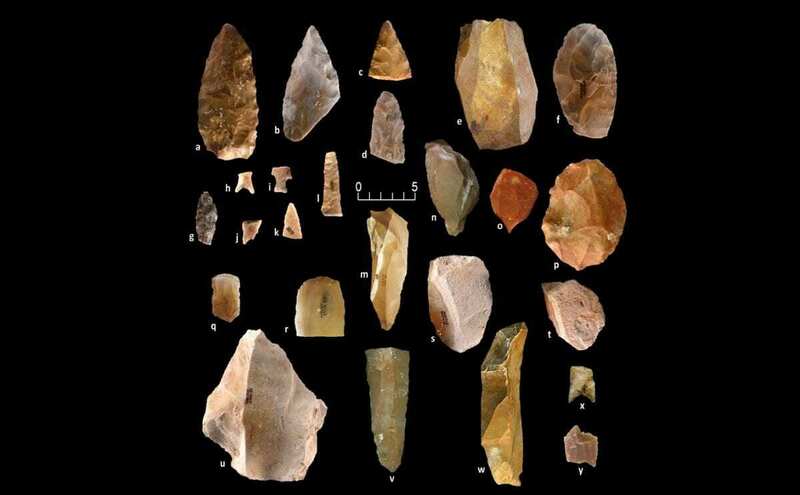 For decades, researchers believed the Western Hemisphere was settled by humans roughly 13,500 years ago, a theory based largely upon the widespread distribution of Clovis artefacts dated to that time. Clovis artefacts are distinctive prehistoric stone tools so named because they were initially found near Clovis, New Mexico, in the 1920s but have since been identified throughout North and South America. In recent years, though, archaeological evidence has increasingly called into question the idea of “Clovis First.” Now, a study published by a team including DRI’s Kathleen Rodrigues, Ph.D. student, and Amanda Keen-Zebert, Ph.D., associate research professor, has dated a significant assemblage of stone artifacts to 16-20,000 years of age, pushing back the timeline of the first human inhabitants of North America before Clovis by at least 2,500 years. The research team identified the artefacts at the Gault Site in Central Texas, an extensive archaeological site with evidence of continuous human occupation. The presence of Clovis technology at the site is well-documented, but excavations below the deposits containing Clovis artifacts revealed well-stratified sediments containing artefacts distinctly different from Clovis. To determine the ages of these artefacts, Rodrigues, Keen-Zebert, and colleagues used a process called optically simulated luminescence (OSL) dating to the ages of the surrounding sedimentary material. In OSL, researchers expose minerals that have long been buried under sediment layers to light or heat, which causes the minerals to release trapped potassium, uranium, and thorium electrons that have accumulated over time due to ambient, naturally occurring radiation. When the trapped electrons are released, they emit light which can be measured to determine the amount of time that has elapsed since the materials were last exposed to heat or sunlight. Header Image – Stone tool assemblage recovered from the Gault Site. Credit : Credit: Produced by N Velchoff, The Gault School of Archaeological Research.